The Bishop (later Metropolitan) of Kissamos and Selinon Irineos (Galanakis) and his pupil, Alexandros K. Papaderos, worked tirelessly together during the early 60s to create the OAC as an idea and way of acting, and at the same time to procure the necessary resources. To enable the building of the first facilities of the OAC, the historical Holy Monastery of Gonia placed at the OAC’s disposal some 60,000 m2 of land adjacent to its monastery, which has been characterised by decree as being of 'exceptional beauty'. Construction work began in 1965 with financial support from the Evangelische Zentralstelle für Entwicklungshilfe/Bonn. 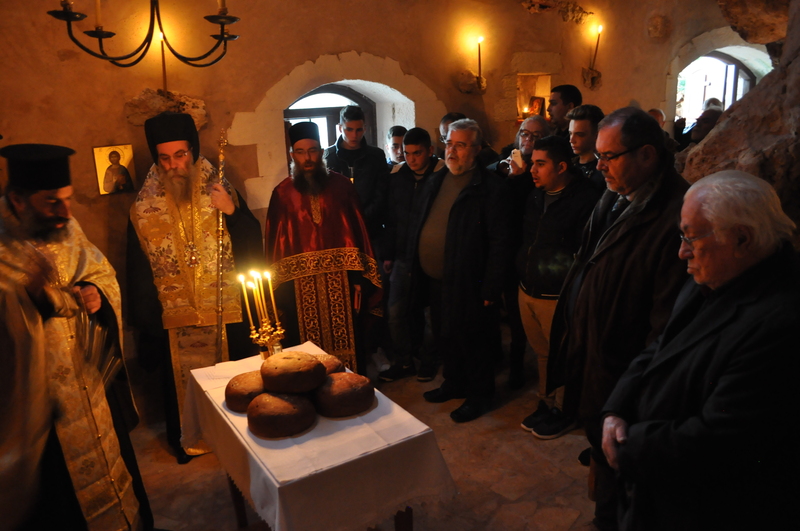 With this support, the Evangelical Church of Germany wanted to give the people of Crete a token of repentance and reconciliation in a place closely connected with the Battle of Crete (1941) and with the utmost sacrifice made in the name of freedom and human dignity. The State acknowledged the OAC as a 'religious foundation in the public interest' with the status of a legal person under private law, in accordance with the act of incorporation of the above (Notary's Office of Kolympari, Chania, Act No. 12.419/19-1-1970) which was ratified by the State (Royal Decree No. 838/31-12-1970 (Government Gazette 295, Series A). By a subsequent decision of the State, the OAC was also recognized as a non-governmental organization (NGO). 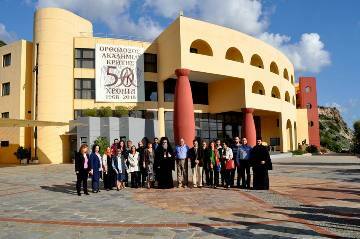 The Institution operates within the framework of the Holy Metropolis of Kissamos and Selinon and the Church of Crete, which has a semi-autonomous status within the jurisdiction of the Ecumenical Patriarchate. The spiritual protector of the OAC is the Ecumenical Patriarch, whose name is mentioned in every ritual at the institution. 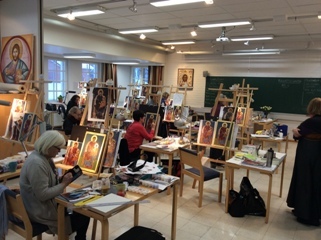 The inauguration of the OAC took place on 13 October 1968, in the presence of representatives of all Orthodox churches, other Christian traditions and organizations, the universities of the country and a large audience. Against the suppressive atmosphere of monologue prevalent at the time, it was through the Orthodox Academy that the church resisted with dialogue. The people have unanimously supported the OAC from its beginning to the present day. 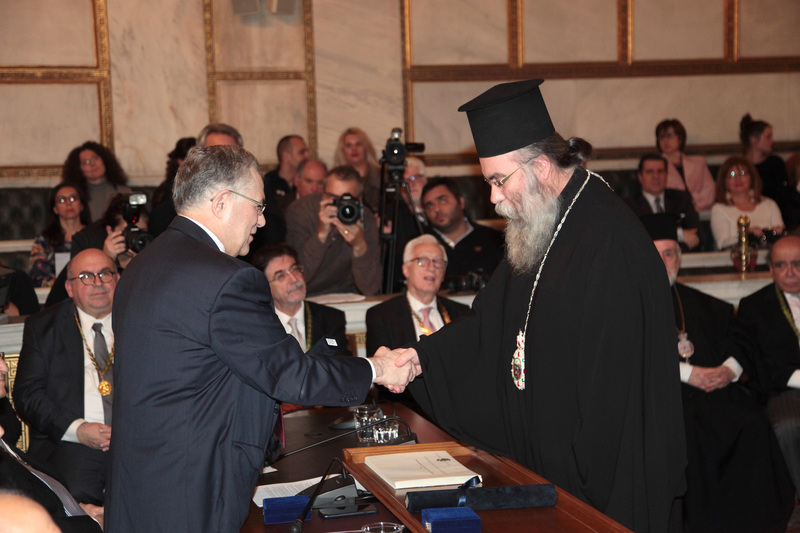 On 12 November 1995, His All Holiness the Ecumenical Patriarch Bartholomaios inaugurated the second building of the OAC, with which the OAC became one of the most up-to-date conference institutions in Greece. This building was funded by the European Union and the Greek State.